THE MAURITIAN GOVERNMENT is looking for a new director for its Forensic Science Laboratory which came under scrutiny during the trial of two men for the murder of Michaela McAreavey. Last month, two men were acquitted of murdering the 28-year-old Tyrone woman who was found dead in her hotel room on the island of Mauritius while on honeymoon with her husband John in January 2011. The trial heard from a British forensic scientist who said that DNA of the two men who stood trial, Avinash Treebhoowoon and Sandip Moneea, was not present at the crime scene. Susan Woodroffe also stated at the trial that Mauritian police had not taken sufficient precautions to prevent the contamination of samples and the crime scene. 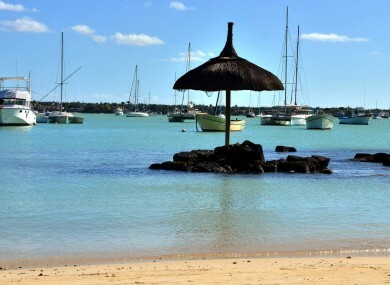 The Mauritian government is now advertising for someone with at least ten years post qualification experience in the area of forensic science to head up its Forensic Science Laboratory, which operates under the Office of the Mauritian Prime Minister. It is not clear why the position is being advertised at this time and the Office of the Prime Minister and the Forensic Science Laboratory could not be reached for comment yesterday. A staff list dated 7 March 2011 – two months after Michaela’s death – and posted on the Mauritian government website indicated that there was no director in place at the laboratory at that time but it is not clear whether or not one was since appointed and has now left. The position is comes with a 12 month contract with a salary of $72,000 USD (€57,300) per annum with applications open until the end of September. Email “Mauritian government wants new director for its forensic science lab ”. Feedback on “Mauritian government wants new director for its forensic science lab ”.